Taking the plunge and opening your bakery business is a big step, do you have the right tools to promote it? Create stunning and professional graphics with Placeit in no time! Opening a Bakery? Make a Logo Today! 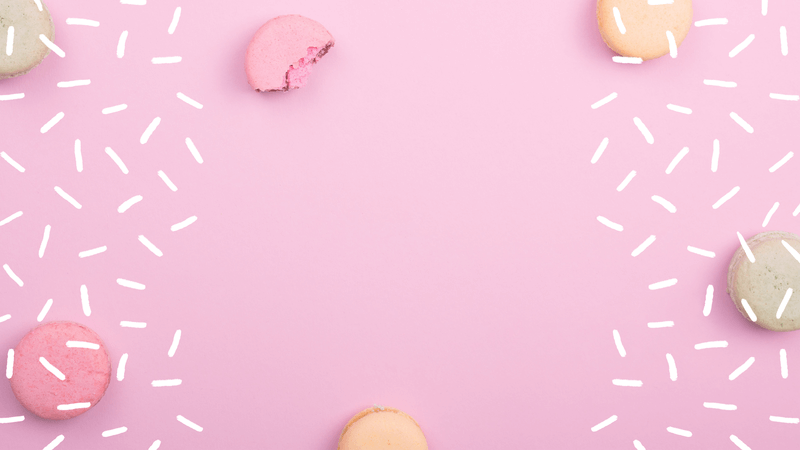 So you’ve decided to open up your bakery business, whether you’re going for a home bakery, or decided to take the plunge and open up a shop, your branding and communications with your customers have to be on point. Think of the branding as the string that holds the visual aspects of your shop together, it includes your logo, your social media posts, your online ads and even flyers, posters and take-out boxes. All of this to let the public know who your brand is and what to expect from it. It can be elegant, fun or a combination of both, but that’s all up to you. 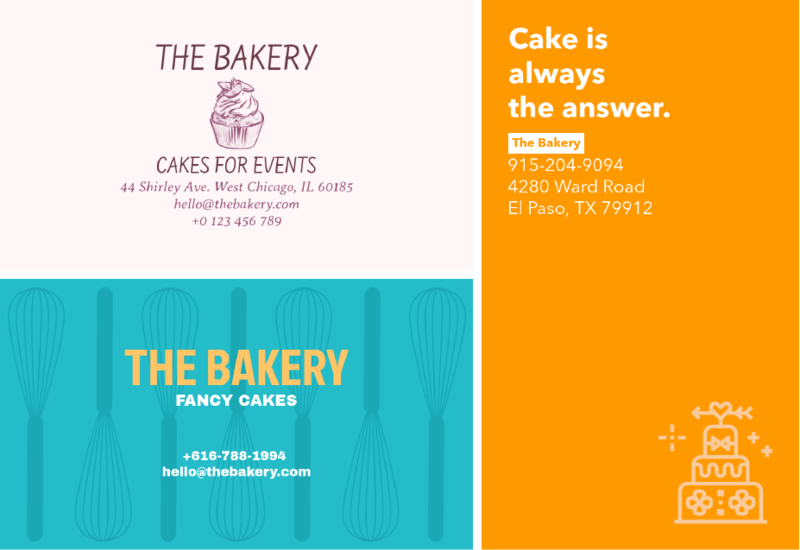 Using Placeit to create the branding for your new bakery takes no time and much less money than it would to hire a designer and have them make the whole graphic identity for you. 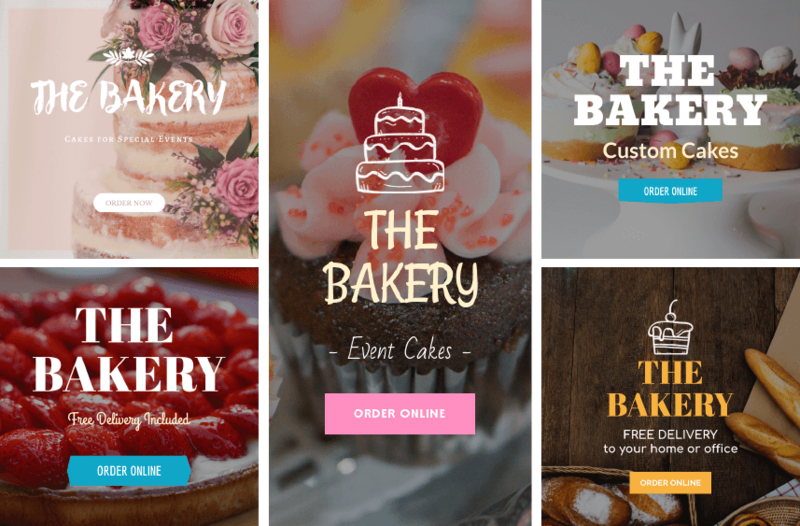 In this post, we break down the branding elements your bakery should have to stand out, as well as the marketing tools you’ll need to take you to the top! 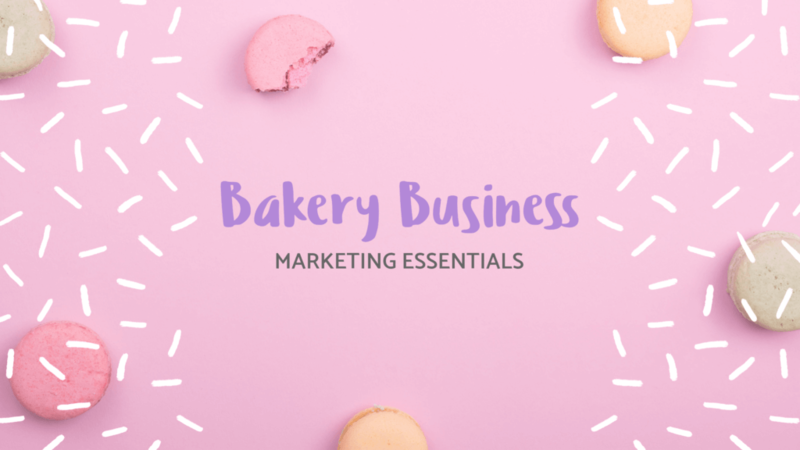 The baking business is such a word of mouth one that having business cards can be a lifesaver when you need to have your information handy for clients, or when a happy customer would like to recommend you to their friends and family. Make sure to include important info like your store’s address, phone number, email, and social media accounts. Pro tip: Select graphics and colors that go with your logo for branding purposes. 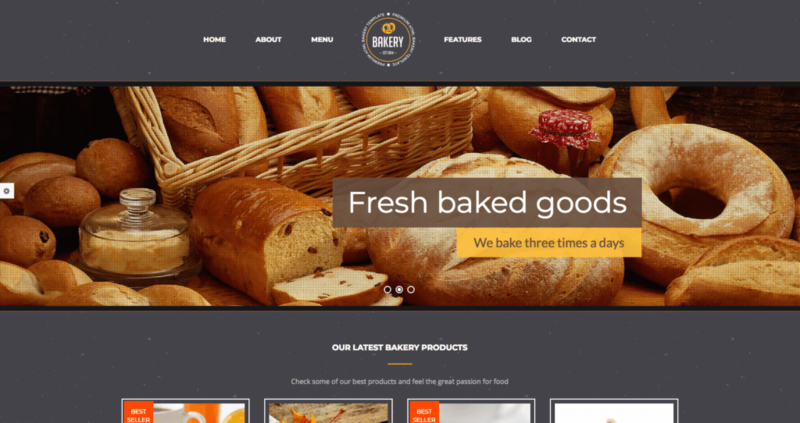 Promoting your bakery online is important, and even if people can’t come into your store and smell your delicious creations, having an online presence as a baker is key to creating a strong following online that can eventually convert into customers. A website with information about your store, like opening hours and schedules for big orders is a great way for people that are already online to get information about your shop quickly. Another cool feature a bakery website can have is a form for people to order their baked goods from or place large orders. In past years, with the boom of social media, many bakers have found a place in platforms such as Instagram and Facebook to show people their latest creations and yummiest recipes, just search for #baking on Instagram… it has over 16 million posts! Social media channels are a really smart place to advertise your baked goods and show off your baking style. So social media is a must, and pictures, where you show off your goods plus tell people about your latest product or promo is a really smart move. To make the most of your social media images , make sure they’re the right size for the platform you’re posting them on. Every platform uses different image sizes, but you’ll get the hang of this in no time. Keep your posts visually engaging for the best results. Now, online banners are another topic worth paying attention to because its an easy way to target the people you’re interested in reaching. Placing ads in the Google Display Network (GDN) might seem hard but it’s actually a pretty easy process that can help you reach people in your area that are searching for the services you provide, in this case, baked goods. Think of it as using Google searches to your advantage. For a more in-depth explanation of the GDN check out our post on the online banner maker. No matter how big or small your business strives to be, advertising is important to get the word out. Even though social media is a strong place to advertise, old-school advertising is also important, having an offline presence will make sure you are on the top of mind for future customers. 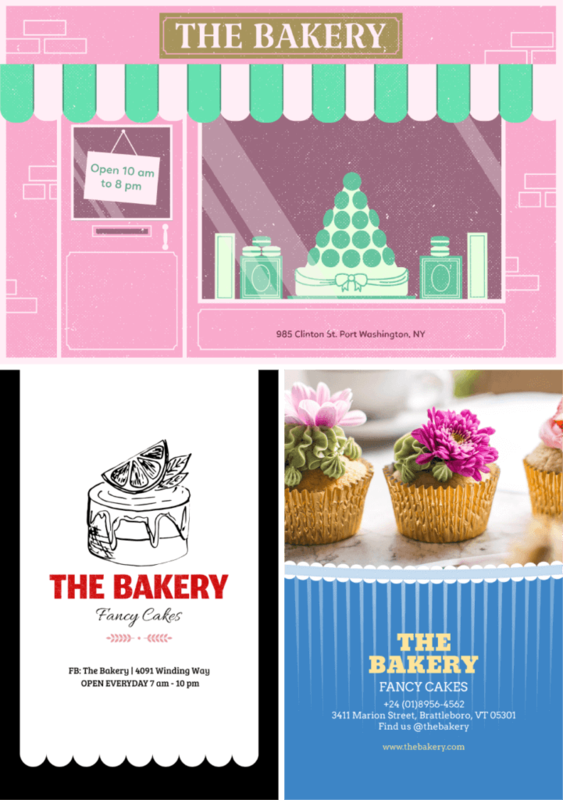 Two ways to promote your bakery offline is to make flyers which are great for promotions, and posters which are great for events. This is another area you should be consistent with, using the same colors you’ve used for your logo, business cards, and social media makes a lot of sense. Taking the plunge and deciding to take your baking to the next level is a big one, but it’s not impossible to have a successful bakery if you have the baking skills and the right tools to promote them. You might also find interesting these restaurant marketing ideas! Make sure to check out all the assets Placeit has available like design templates, and mockups for various items (like mug mockups!) and keep in mind that the subscription now includes unlimited downloads for 29 dollars/month! Imagine if a box mix cake came out tasting like a professionally baked cake, that's basically what Placeit's logo maker is, an easy to use tool that delivers professional results, in minutes and with little effort! The best part is that Placeit is a complete design tool for you to also create amazing flyers, business cards, t-shirt designs, and more! Make a Logo for your Bakery! "Placeit's logo maker was exactly what I was looking for!"